Two industries are looking to climb on board with Ohio’s brewing industry to create a truly Ohio-centric product. Presenters representing maltsters and hop growers spoke at the Ohio Craft Brewers Conference on Wednesday, February 3, 2016 to explain that the nearly 200 breweries in Ohio can stay local and create premium products. Dave Volkman, the owner of Ohio Valley Hops in Maineville, Ohio, and the director of the newly formed Ohio Hop Growers Guild, talked about the community aspect, the freshness of local hops and the personal relationships that Ohio hop farmers and Ohio brewers can have while still increasing the quality of its products. “I think they see kindred spirits in us and we certainly do with them,” Volkman said. Volkman also touched on how the local aspect can save money and be sustainable. And it’s worked, as nearly 15 percent of Ohio breweries have used local hops in their beers. 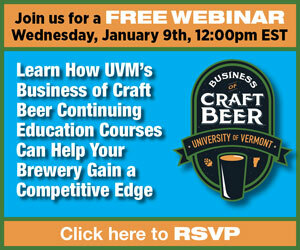 It’s a number Volkman would like to see increase of course to help spur the hop industry in Ohio. 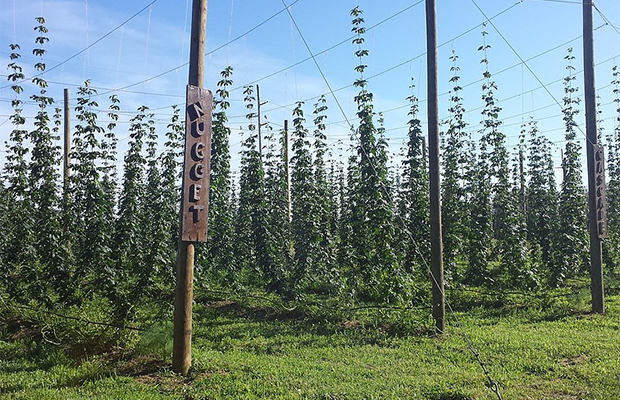 With start up costs, a hop farmer may have to tuck upward of $35,000 into the first acre before even getting a crop yield. It’s a big leap, but it may be worth it says Volkman. “If you have entrepreneurial spirit, you know that there is going to be a few years in the red before you get into the black,” said Volkman. “If you are willing to accept that risk for the reward you think is 3, 4, 5 years down the road it will work out for you. Andrew Martahus of Cleveland’s Haus Malts is the first maltsters in Ohio to open with hopes that four other maltsters will be starting in 2016 to give Ohio brewers fresh malt with next-day delivery possible. He wants to be able to offer customizable flavor profiles for specialty grains and said it can produce up to 3,400 pounds of base grain per batch. The first batch was bagged on New Years Day. Little Fish Brewing in Athens, Ohio, was an early adapter to Haus Malts. 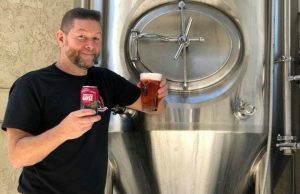 Co-founder Sean White said the brewery, which opened in July, should be tapping an all-Ohio malt IPA around Valentine’s Day. 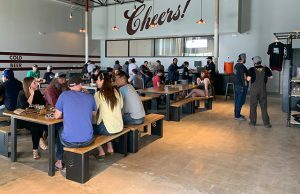 Martahus added that with millions of barrels of “big beer” switching from beer made with 30-40 percent malt to craft beers with 100 percent malt bases, that the increase of malt is going up. Pushing the local aspect is not just a selling point, but also a chance to save on shipping and get fresher product, especially for smaller breweries where a micro-maltsters like Haus Malts can supply everything for them at once. They currently work with five fields of winter barley and two fields of spring barley. Three of the fields are in Ohio with the other two in Montana and Maine. “We think of it as Ohio first and the Great Lakes region second,” Martahus said when asked about if it wants to just be a local maltsters. The local sell worked for Urban Artifact, a Cincinnati brewery that made a 30-bbl batch of American Wild Ale with 60 pounds of hops from Volkman’s farm called Calliope. “We think it’s a big selling point,” Volkman said. With more than 70 members, Volkman said that the OHGG has put more than half a million dollars into new investments for 2016 and it has seen numbers jump from 25 growers with 18,000 plants in 2014 to more than 50 in 2015 with nearly 30,000 plants. He said that Ohio can offer 20-plus varieties. Volkman pointed out during the talk that they hope to develop an Ohio-centric hop down the line as well. 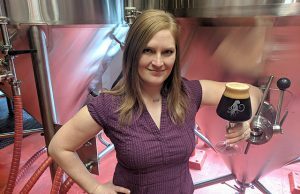 Editor’s Note (Feb. 5): Changes were made to this story after publication to eliminate mention of Galaxy hops being grown in Ohio.